Even today, papyri tell us about everyday life in the ancient world, preserved historical events or philosophical thoughts. With this Cyperus Papyrus you will enjoy a very special writing experience and immerse into the ancient world of writing in faraway Egypt. 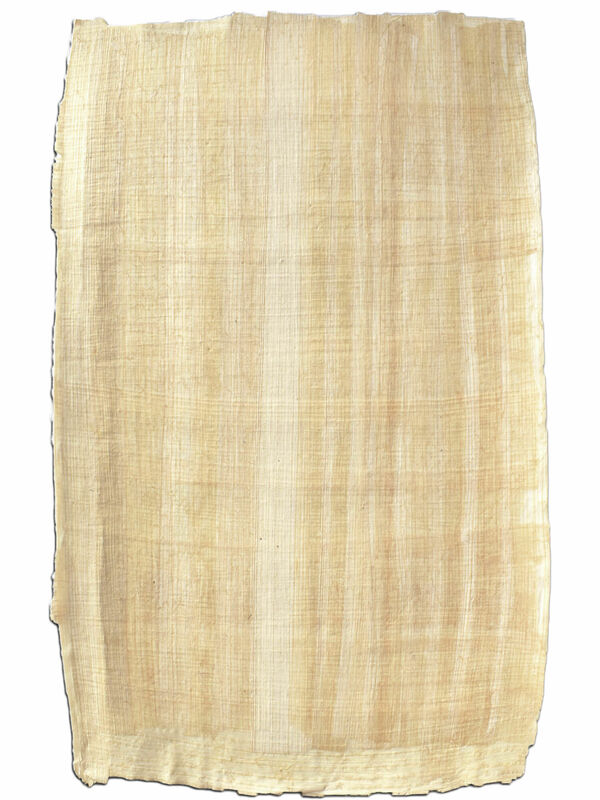 Discover the unique art of writing on this high quality papyrus. When your letters appear on this wonderful natural surface, you will take delight in writing. 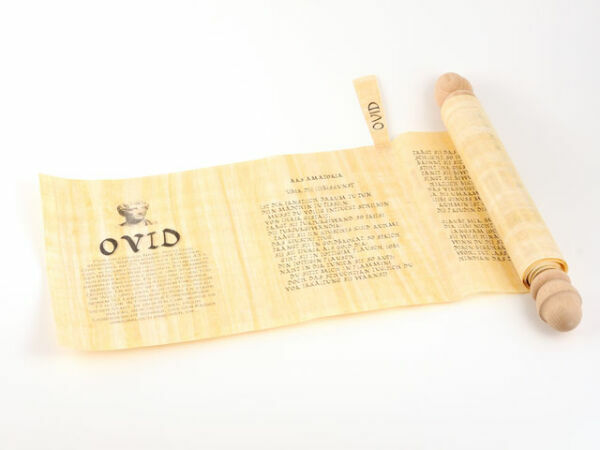 Experience the writing of the historical thinkers and poets with the Cyberus Papyrus. Due to its extraordinary long durability the Cyberus Paryrus offered the philosophers the opportunity to save their thoughts for so many centuries. 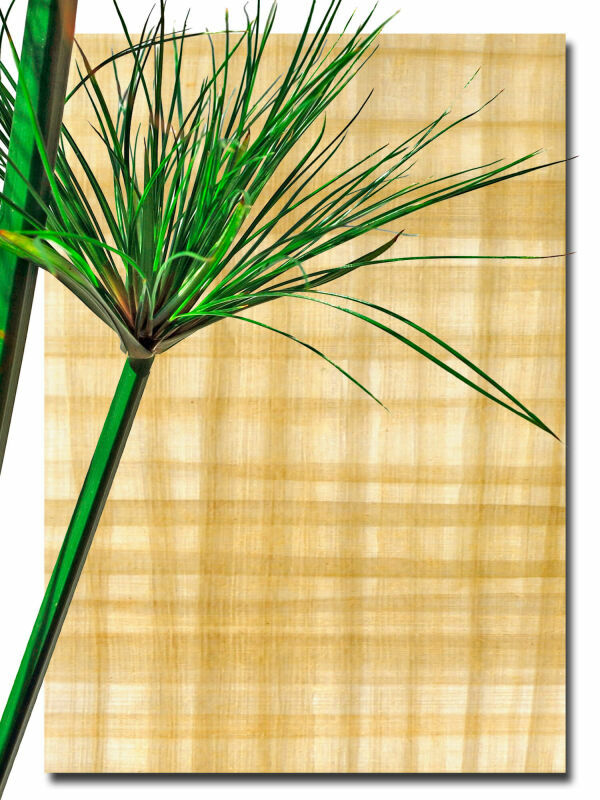 This special Papyrus was hand-crafted in Egypt and captivates by pure naturalness. The sheet has the ideal size of about 62 x 92 cm. Untreated margins give the sheet a totally traditional look. The genuine premium quality is guaranteed by the Papyrus certificate. 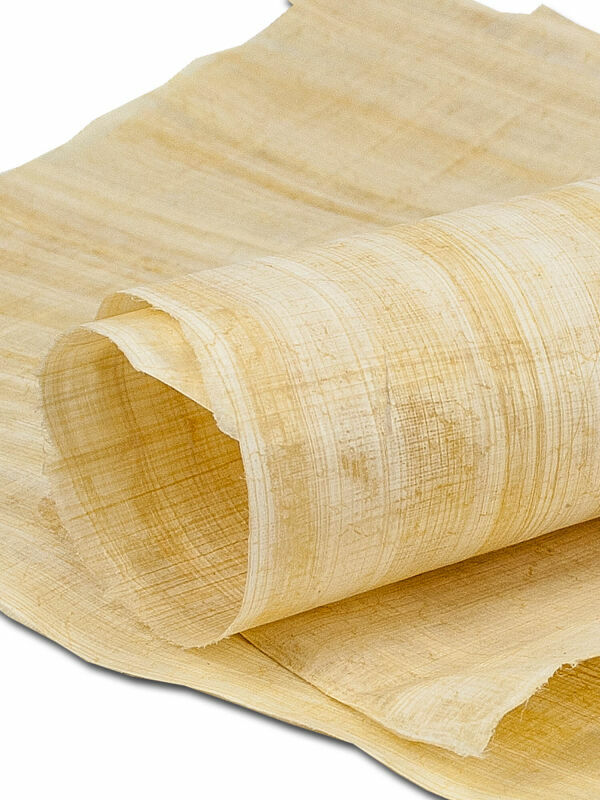 In addition, the Papyrus provides the typical structure of ancient paper and promises an extraordinary writing experience. The sheet for writing was made from the Papyrus plant Cyperus Papyrus and stands for special environmental impact and sustainability. Organic packaging underlines this ecosensitive writing experience. The beautiful Papyrus surface offers many opportunities for creative compositions and ingenuities of all scripts, signs or symbols. And when you let your calligraphy skills run free, your Cyperus Papyrus will turn into an absolute eye-catcher. So you can make your creative ideas visible, hold them for a long time or pass them on.